A very durable tile that is designed to withstand heavy loads and harsh work environments. Perfect for Industrial facilities and manufacturing. Modular interlocking system enables easy installation and customization, making it ideal for any job. Solid top for dry areas. 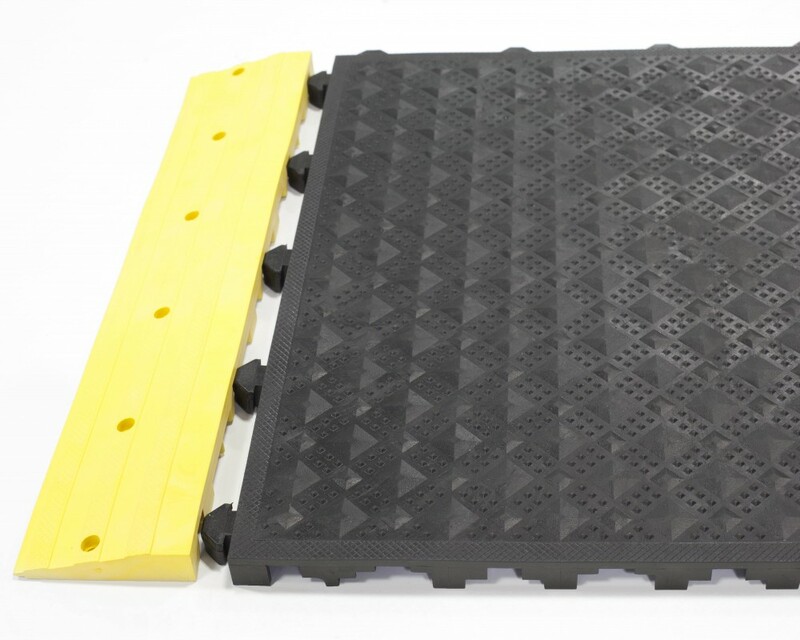 Other options include grit surface for increased traction and ESD for electrically sensitive equipment. Individual Sizes: 20" x 20"